What kind of cheese can hide a horse? What about the red ship and the purple ship that collided at sea? Over one hundred sailors were marooned. Did you hear about the paranoid vegetarian? He always feared the wurst. The third in the bestselling series of hilarious joke books - packed full of every kind of joke to make you laugh until your sides split. 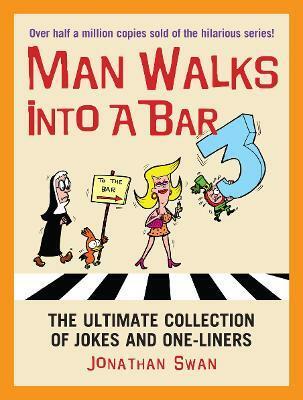 From elephants to mothers-in-law, priests to chickens, 'knock knock' to 'doctor, doctor' and much more besides, A Man Walks into a Bar 3 contains over 2,500 great new gags. Even Queen Victoria would be amused.